First of all – most speakers I know are incredibly generous and inspiring individuals, who share their knowledge at paid and/or free events, with courage and precision that I can only admire. I guess that over the years there is no speaker in the world, who had not canceled a confirmed appearance a couple of times (family/sickness/client troubles/etc), and this is totally OK. This post is not about those situations. I AM NOT POINTING AT ANYONE SPECIFIC. I am pointing at the generalised practice (this is something I have confirmed over the course of the last days after speaking with people from different continents and most diverse countries), that has established that if the event is free – then nobody should care, because they did not payed money, anyway. Well, breaking news – THIS IS NOT TRUE. An attendee (not a registrant) has payed you their respect by registering and appearing, by reserving their precious time – a lot of times away from the friends & family, they are giving you a right for a free forum, a careful audience, they give you their attention (If you do not think it is precious – go ahead and start presenting on the street). Some of them might even try to hire you as a consultant (yeap, this means you might make some money out of this incredible promotion occasion). As an organiser, I can share you that every speaker after careful selection (which costs a lot of time and hence money), every speaker will get resources allocated for her/his/their presence at the event and everything surrounding it. Trust me when I say that no matter how you turn it, it is still a pretty incredible amount of money – especially for a free event, because the attendance tickets do not provide any of the money at all, obviously. – speaker dinner, which besides amazing food and incredible location will make the volunteers to drive for 45 minutes – 1 hour to the location (this year location was across the Vasco da Gama bridge (over 12 KM in length) and included tolls. Driving for 2 hours will cost some money that volunteers spent out of their own pocket). As you should imagine, reserving a place in a good place means that we shall have to shell out the money, no matter if confirmed speaker decides otherwise in the last moment. 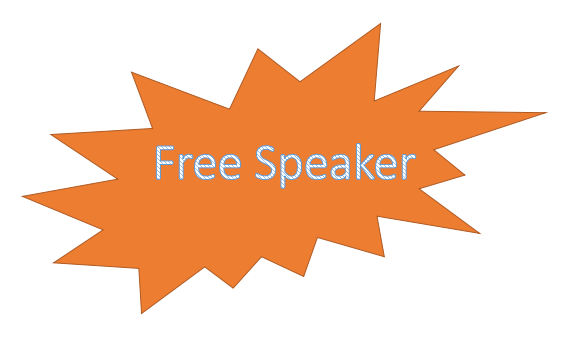 Overall I could quantify how much money is spent on a speaker on a FREE event, but that would be a rather dull and uninspiring moment, because my point is just to show the importance of showing up after you have confirmed. Ha! There are so many conferences/user groups! Just because right now there are so many free events & user groups, it does not mean by far, that this will stay this way forever. I am rather inclined to believe that generally the dark valley of the user group & conferences extinction has already started. Also think that we (as in organisers) are pretty well connected and we do share our experiences between free & paid events and that we do constantly get asked by our peers about certain speakers behaviours that are unknown to the organiser in question and we do provide our honest information on show/no-show and taken attitudes. Just because someone is located in rather small country (and I am not talking about myself) and seems to be “nobody” right now, it does not mean that in 2 years this person won’t be presiding some of the most prestigious conference that you always dreamed about. Ha! I get selected everywhere! Once again, weight all the available options and understand that your selection is still based on the feedback and stories from the other speakers/attendees/organisers. Keeping them happy might keep your 15 minutes last a little bit longer – and please keep in mind, that the damnation lasts quite a bit longer than those cheeky 15 minutes. Also, keep in mind, that when you change your mind about the conference you have offended, the organisers might be having you on the special list that will not get you a place automagically like before. Do you remember the first time you have got picked for a conference? Would you miss it for the world ? I remember my first PASS Summit accepted session email and how crazy I was jumping around – this is the very same feeling that I get every time I get selected for any conference I submit, and making sure I won’t fail – I submit to less conferences, focusing on those that matter personally to me and/or those which needs to be supported in my view. The incredible feeling of “someone wants to hear what I have to say” goes away with time, but let us all focus and try to remember it. Remember it so we won’t loose our internal compass orientation and won’t let down all those attendees & organisers that entrusted us with their choice, time & attention. Please, please, please – EVERY SINGLE TIME, before you click on Submit button for an event, please think 5 times about how it will be there, if you believe that it is worth it, and only as the very last resort consider canceling your presentation on the event. As I wrote in the The Price of the Free Entrance, there is Karma for everyone involved and it applies to the speakers as well. Next time by the selection at the most prestigious event you have spent your life dreaming about, when your and your peer’s presentations are competing for the same last slot, some organiser might be giving her/his advice on who should be selected – and just the sheer phrase “she/he canceled at the last moment” will be cutting edge of the sword that will set the decision not in the favour of someone canceling on a rather “dull free event”.